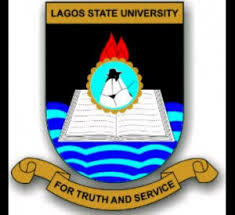 Lagos State University, LASU Vice Chancellor Professor ‘Lanre Fagbohun, Appoints Mrs. Margaret Ogunkoya as Acting Director, Internal Audit. The Vice-Chancellor, Professor ‘Lanre Fagbohun has appointed Mrs. Margaret Ogunkoya as the Acting Director, Internal Audit, Lagos State University. The appointment takes effect from Monday, 16th July, 2018 until further notice. We are LASU, we are proud!